The Six Nations swaggers back into town and, on the back of some promising performances from the northern hemisphere sides against their brethren from the southern hemisphere during the Autumn Internationals, expectations are high regarding some high quality, attacking rugby. This year is also the first time that bonus points will be used, the hope being that their introduction will act as a carrot for teams to rack up as many tries as possible, from both winning and losing positions. Some matches, of course, don’t require any inducement on the part of the authorities and this tie is one of those. Whilst it’s true that Ireland have largely lorded it over Scotland in recent years, there’s reason to believe that that this will be a close run thing. The Scots have something of a chip on their shoulder regarding Ireland’s successes in recent years and will have targeted this opening game at home to put one over the Irish and all the critics who habitually write them off. First things first, there’s a proper edge between these two teams. A recent Champions Cup game between Glasgow and Munster featured more than its fair share of bite with Munster somewhat aggrieved at what they adjudged to be a concerted effort on the part of the Scottish team to do serious harm to Munster and Ireland scrum-half, Connor Murray. His opposite number, Greig Laidlaw, countered that Glasgow operated within the rules of the game and that Murray should expect more of the same at Murrayfield. Ireland’s pack will need to make sure that Murray is well protected because in the absence of Jonny Sexton at 10, his importance to Ireland’s hopes of success have been magnified significantly. Ireland’s out-half is arguably the finest in that position in Europe and his loss is as big a fillip to Scotland in their quest for a home win as it is a dent to Ireland’s hopes for an away one. All things being equal, Ireland are the better team in terms of a starting 15 and impact from the bench. They recently beat the All Blacks for the first time in their history and, under the astute guidance of Joe Schimdt, consistently perform with striking efficiency in both defence and attack. However, it is the aforementioned Sexton who drives them forward with direction and purpose and his absence provides Scotland with a real chance of causing an upset. The market has Ireland as favourites and although it is not beyond the Scots to upset the odds, a price of 1/2 from StanJames for an Ireland win sounds about right. This is a heavyweight clash against tournament favourites that France could probably have done without. Defending champions England come into the Six Nations on an incredible run which saw them batter and bruise their way through an unbeaten 2016. Never the most popular of teams with fans from other nations, beating all before them is hardly going to make them any more friends in that regard but one suspects that England couldn’t give two hoots about that. And why should they? After many rudderless years, they’re all about the winning now. The same cannot be said of France. Where once they were a byword for off-the-cuff attacking flair and élan, these days they are more readily identified by lumbering man-mountains, wrecking ball backs and a total lack of identity. Much of this can be put down to the current state of Top 14 rugby with its pools of cash and foreign players, sacrificing indigenous talent at the altar of big money tv deals. Theirs is a loss that all rugby lovers share. England, too, have their mountainous mobile monsters but crucially they have a ruthless capacity to beast all before them and are consistently putting up big scores to boot. They have been hit by a number of injuries to key players, though, most especially to the Vunipola brothers and former captain Chris Robshaw whilst captain, Dylan Hartley, has played just six minutes of rugby since early December. 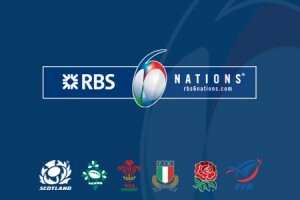 However, there is no doubt that the champions are in bullish form at the beginning of this Six Nations. France, too, have their own injury worries most especially in the form of Wesley Fofana. The French aren’t the most prolific in terms of scoring against top sides and the loss of Fofana might hit them hard, especially as he has been replaced by the straight-line bludgeon that is Mathieu Bastereaud. He is an effective bowling ball but clever defensive tactics usually temper his strength. As much as we’d all like to think that France have a surprise up their sleeve, the only real surprise is that we still think that they are capable of doing so. Whilst they are not without a threat, they are largely without their old charm. They will go toe-to-toe with their hosts but eventually England’s ruthlessness and drive should roll the French over. The best price for an England win is 4/9 and comes by way of NetBet. Italy joined the other five nations in 2000 to create what we now know as the Six Nations. It’s fair to say that they have been perennial whipping boys for much of the time since. A lack of any meaningful domestic league has meant that often times they very much resemble the teams we used to watch in the amateur era – tough, obdurate and likely to fade badly after the 60 minute mark. The times they have a’changed, however. They recruited the not inconsiderable talents of Conor O’Shea as coach last year and have already recorded what was probably their most historic win to date when they beat South Africa in the Autumn Internationals. This result has raised expectations and their captain, Sergio Parisse, a world-class operator at no. 8, will be hoping that his team can cause an opening day upset to mark his 122nd cap. Wales are a strange team. Their provincial outfits rarely trouble the upper echelons of Champions Cup rugby or the Pro12 for that matter. And yet, they won three of their four Autumn Internationals, beating Argentina, South Africa and Tonga, respectively. For all that, the style of rugby they play is far from popular with their fanbase. WarrenBall, as its widely known, is very much a crash, bang, wallop version of the game with a good smattering of aerial bombardment. However, Gatland has once more been called up to coach the British and Irish Lions and as a result, Rob Howley has been drafted in as interim Wales coach. This has purportedly seen attempts at a move away from Gatland’s forte in order to add some nuance to their attacking game. Given that bonus points are available for tries scored, this will be essential should they hope to challenge for the title. Although no-one has won as many Six Nations wooden spoons as Italy, no team likes to face them at the beginning of the tournament when they still have everything to play for, all the more so when they are playing at home. Italy will be putting absolutely everything into this match and with Wales in something close to a transition phase, they are in with a shout of causing an upset. Wales haven’t lost against Italy for 10 years and will back themselves to continue that record but if you fancy a wildcard shout this weekend, a win for Italy it is. The best price for a home win is a very tasty 5/1 and comes courtesy of StanJames.